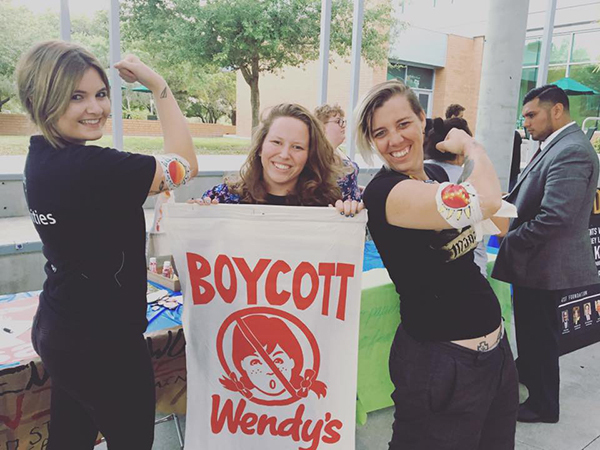 A student at University of Tampa pledges to join the Wendy’s boycott after talking with fasting students staffing an information table and spreading word of Wendy’s refusal to join the Presidential-medal winning Fair Food Program. The rising tide of student action following last month’s Return to Human Rights Tour hit yet another high water mark this week, with major developments in the national Boot the Braids Campaign taking shape on campuses in both Columbus, Ohio, and the Tampa Bay area here in Florida (with still much more to come from Vanderbilt University in Nashville, TN, too!). 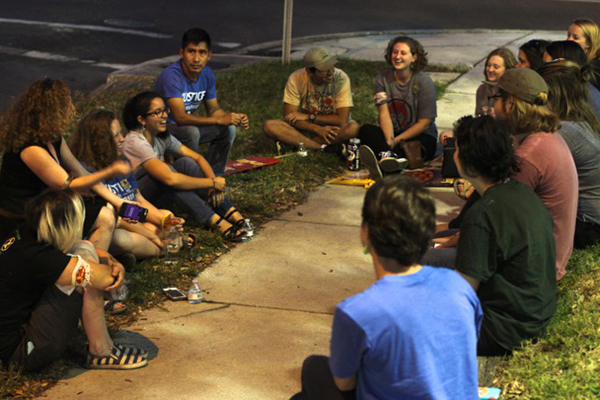 Early this week, excitement about the student fasts at the University of Tampa, University of South Florida and Eckerd College in St. Petersburg rippled through their respective campus communities as fasters educated their peers and swiftly grew their ranks to double the amount of students inspired to fast for farmworker justice. Just since Tuesday, the number of students in the Tampa Bay region taking part in the rolling 3-day fasts has jumped from 8 to 16, not to mention more than 30 additional students who fasted for one day in solidarity! 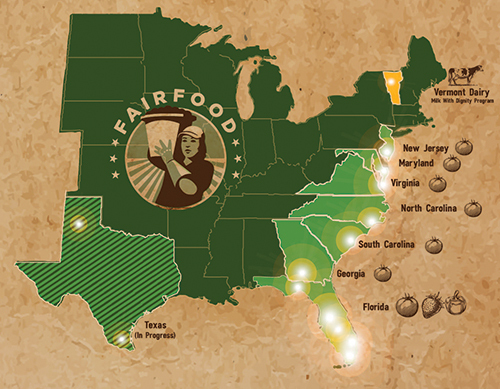 Meanwhile, students spearheading the movement for farm labor justice on the campus of Ohio State University — ground zero for the national Boot the Braids Campaign — are organizing a major mobilization for later this month and have launched an urgent Call to Action (see below) for everyone across the Fair Food Nation. So, today we bring you updates, photos, and media from OSU and the Tampa Bay area — with more to come in the days and weeks ahead, including an update from Vanderbilt where, as it is in Tampa, the fast is going strong and growing! Ever since last month’s weeklong fast by 19 OSU students, alumni, and community members, the campaign to kick Wendy’s off the Columbus campus has only grown stronger. Students and alumni at OSU have been meeting several times a week since breaking their fast and passing the torch to students at the University of Michigan, planning actions to keep the pressure up on the administration and hold the university accountable to the promise it made to satisfy the students’ legitimate concerns before renewing Wendy’s lease to do business on campus. 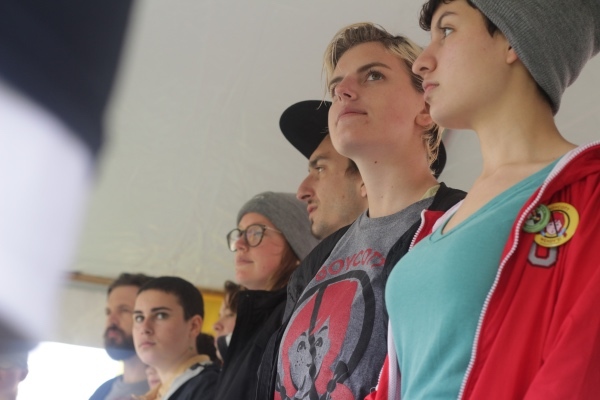 Just 10 days ago, students brought their demand for OSU to honor the language on farm labor conditions in its contract with Wendy’s directly to the university’s Board of Trustees with a powerful action. Next on the horizon is a major mobilization on April 25th, the “Keep Your Word” Rally on OSU’s campus at 3PM. 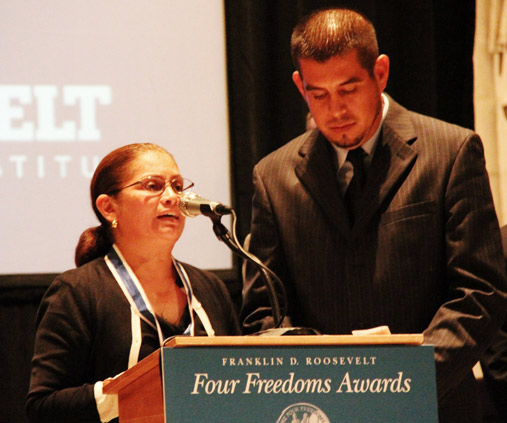 By maintaining this contract, OSU is complicit in the human rights abuses of farmworkers in Wendy’s supply chain. 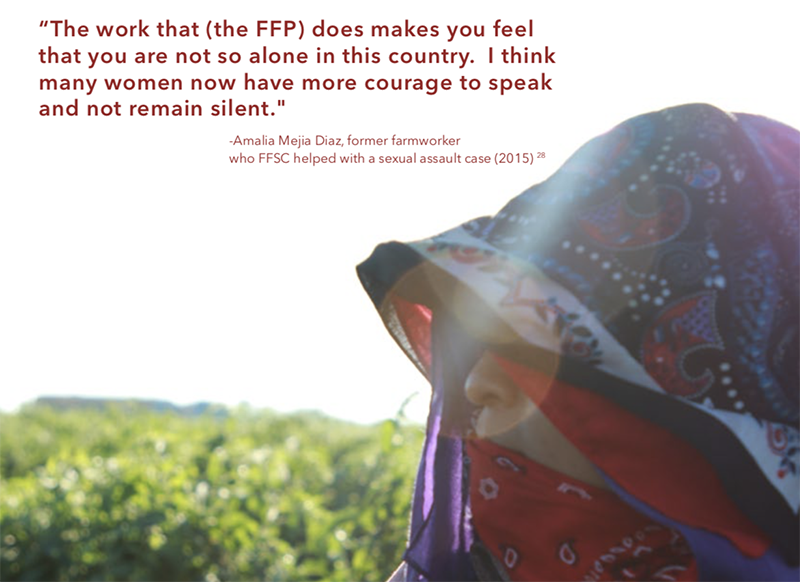 The OSU administration has met with farmworkers, who have explained in their own words why Wendy’s Code of Conduct has no real mechanisms to ensure their rights, compared to the Fair Food Program, and yet OSU remains unconvinced. Students are not satisfied with the actions of Wendy’s or the OSU administration. 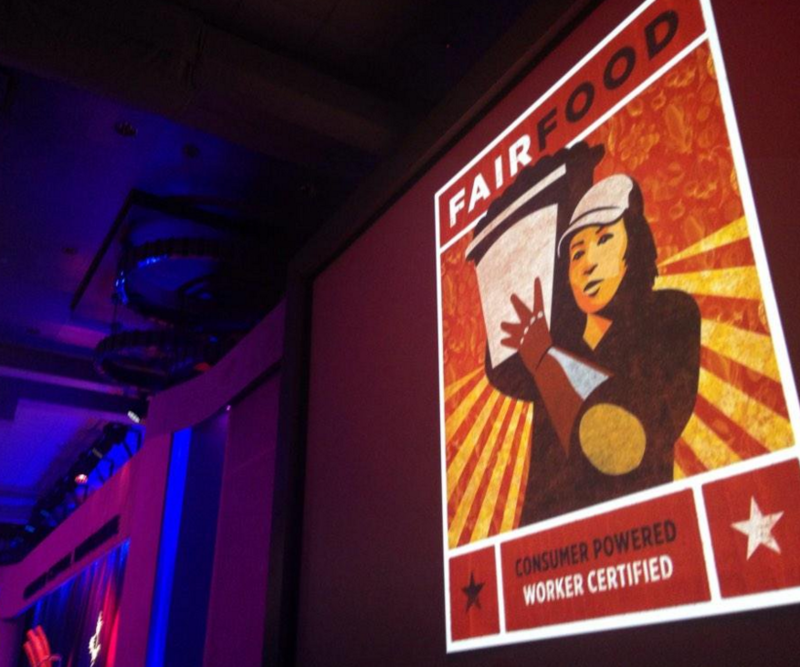 Their concerns will not be resolved until Wendy’s joins the Fair Food Program. Make sure to send in your video in the next few days, and stay tuned for more updates from OSU’s growing campaign in the weeks ahead! This week, the Tampa Bay student fast — a collaborative action among undergraduate and graduate students at the University of South Florida, the University of Tampa, and Eckerd College — hit the ground running after taking up the torch from students at New College of Sarasota and Valencia College. 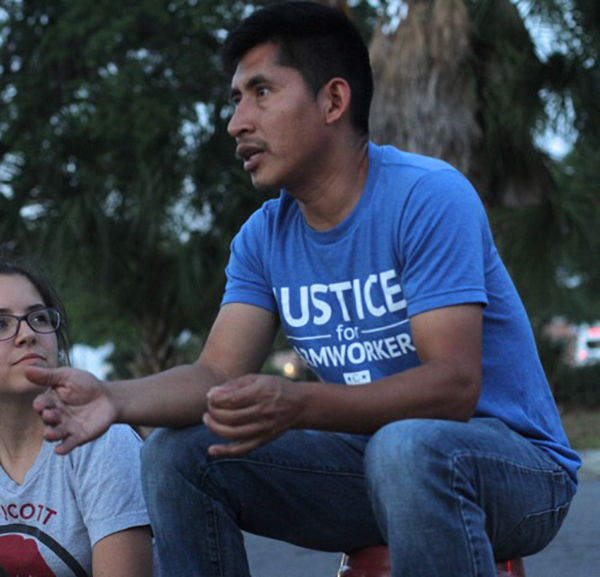 The South Florida-based Coalition of Immokalee Workers is engaged in a years-long fight to persuade major food retailers to purchase tomatoes from growers who pay and treat their workers fairly. 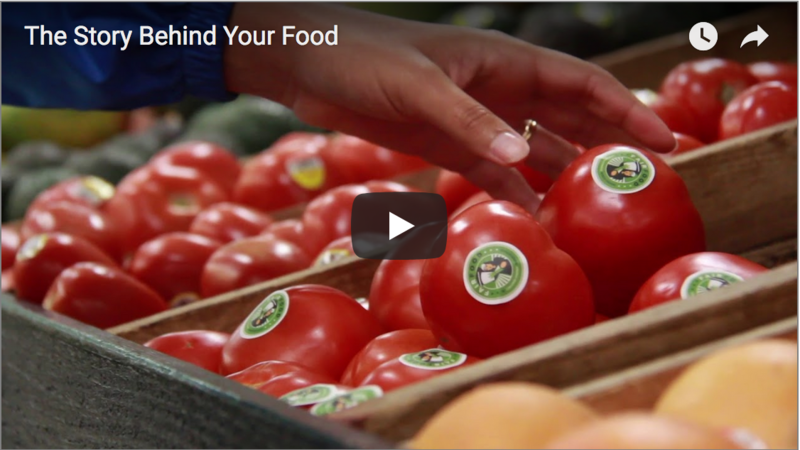 They’ve had some major successes: McDonald’s, Taco Bell, WalMart, Whole Foods — all of which now pay a penny more for every pound of tomatoes workers pick and have signed onto CIW’s Fair Food Program, which helps protect workers from abuse. But, as we wrote about last month, some stubborn retailers remain. 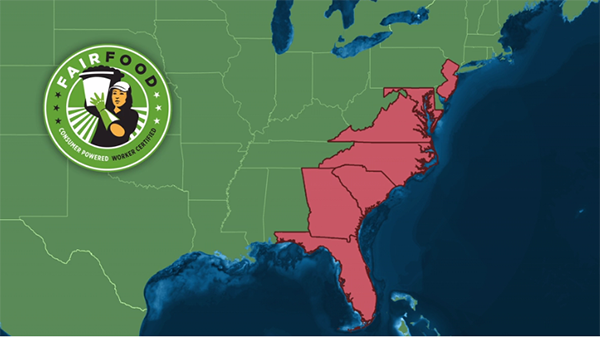 At the moment, the coalition’s big target is fast food giant Wendy’s, and members of the group recently debarked from a tour of some eastern states to help spread public awareness of their plight. 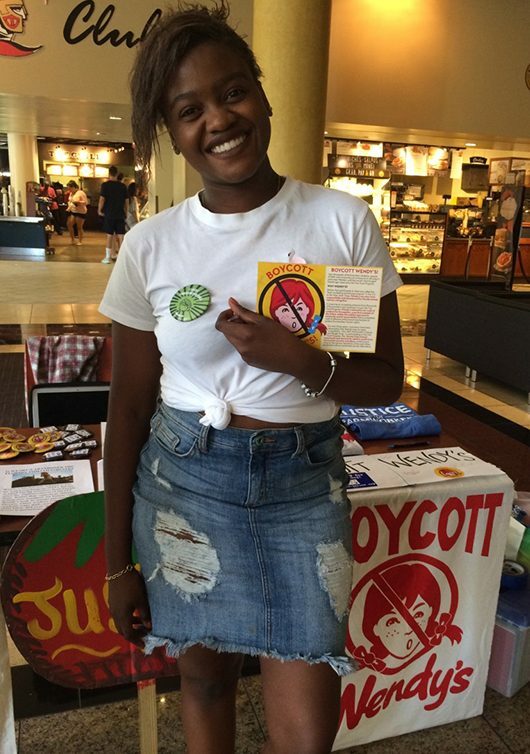 After kicking off their fast on Monday, USF and UT students filled the first half of the week with on-campus tabling and education efforts, engaging and educating hundreds of students in the Wendy’s Boycott and winning commitments from fellow students to fast for a day in solidarity. Their efforts fueled a strong turnout when, on Wednesday evening, students from all three schools as well as supportive clergy from the Tampa region gathered in front of the very Wendy’s at which, just a few weeks ago, nearly 300 Fair Food activists marched during the grand finale of the CIW’s Return to Human Rights Tour. 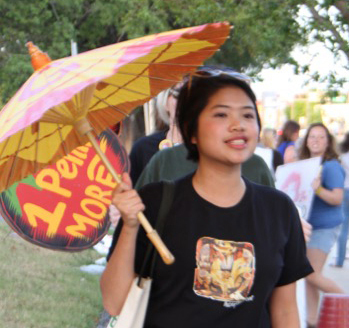 In a lively protest — with energy undiminished after days of fasting — students, clergy, supportive professors and community members, including one of last week’s student fasters from Valencia College, made a colorful splash during rush hour on one of Tampa’s main thoroughfares. 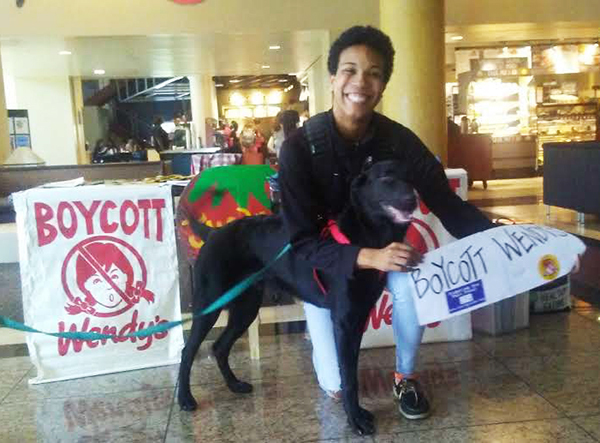 Among Wednesday’s 24-hour fasters at the reflection following the protest was PhD candidate and public school teacher Megan Flocken, who shared that she’d been educating her high schoolers about the Wendy’s Boycott and their role, as young consumers, in furthering the rights of farmworkers. The fasting crew was even joined by one of the fasters’ high school-aged sisters who was visiting for the week. Having witnessed her sister’s commitment, the young woman — freshly enrolled to attend St. Lawrence University in the fall — decided to fast alongside her sister for two days to finish off the week! And that’s a wrap for today’s update, with equally inspiring news in the hopper from students in Nashville! As the rolling fast continues, be sure to check back soon for even more news from the Boot the Braids front, and don’t forget to send in your own video to OSU’s President Drake in the days ahead! As rolling student fast enters second month, Vanderbilt students answer the call loud and clear!